• Australian Labradoodle dog breeders are shown below listed alphabetically by State and city. • Click on underlined words in the dog breeders list to find Australian Labradoodle puppies for sale. • Please tell the Australian Labaradoodle dog breeders with puppies for sale that you found them on BreedersClub.net. We breed quality, home raised, health tested, medium and standard sizes for therapy, service, and family pets of all colors. All of our breeding dogs have passed more then the required health testing. Bred for calm people focused temperaments, confidant, friendly, and correct confirmation. Each puppy comes with a 2 year health guarantee, 5 generation pedigree, shots to appropriate age, worming, food, toys, and is spay or neutered. Our breeding practices help ensure that you get the best possible puppy available. We are an Oregon family breeder focusing on the best temperaments. ALAA member of top pedigree lines, best coats and excellent health testing. We follow Puppy Culture philosophy to ensure proper emotional conditioning, including the BioSensor program to produce amazing puppies. Emotional conditioning starts at three days old and we provide the right foundation for therapy and service dog work. We love our pups and raise them in our home with individual care and lots of socialization. We stand behind every puppy we sell. Our puppies make extraordinary family members. They are very well socialized in our home with lots of careful hands-on attention by our family of six. Training started. Our puppies are from therapy and service dog lines with calm but playful temperaments. All applicable genetic testing has been done. Two year genetic health guarantee. We will be there for you for the life of your dog. 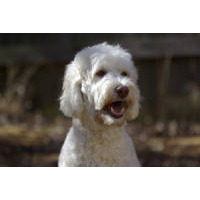 This breed directory page features Australian Labradoodle dog breeders with puppies and/or adult dogs for sale. Once you purchase your new found friend, you will want to provide it the best in pet health care. Be sure to visit our online discount pet supplies catalog and order NuVet Plus™ to keep your puppy and adult dogs in top condition. The discount catalog also features collars, leashes, carriers, general pet care products and much more. BreedersClub.net does not pre-screen the Australian Labradoodle dog breeders who advertise their puppies and dogs for sale in the BreedersClub.net breeder directory and in the classified ads. We require all advertisers to agree to our advertising terms. You should ask the Australian Labradoodle dog breeders you talk with for references from past buyers and veterinarians.